Applied Intelligence / Technology Solutions. ISG’s mission is to support our corporate and private clients proactively manage their personal and professional security environments. We are expert in deploying technology and discretely leveraging intelligence networks/assets to proactively reduce the risk of security breaches and/or otherwise mitigate a potentially negative outcome. We offer relevant and applied solutions based on years of unique training and experience world-wide. Each project is treated as a unique case / intelligence operation and is handled in a confidential and diplomatic manner. The ISG support teams are experienced in the domestic and international arena and are as comfortable in the boardroom as they are in the streets throughout the world. Fast Moving Scenarios Require Quick Thinking & Action. ISG’s modus operandi is based on years of solving demanding requirements in rapidly changing threat environments. ISG’s team and partners are prepared, focused and able to develop creative out-of-the-box solutions. The Company’s reputation and extensive number of long-term client relationships speaks to this creative ability and the Team’s adaptive capability to provide solutions on a go-forth basis in a rapidly changing world. 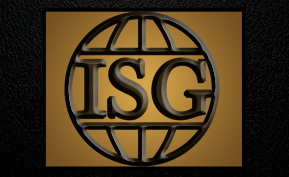 ISG is an international private intelligence agency that will provide the solution to your problems or the answers you seek when something of importance is in question. ISG has assembled support teams with operators that are the “best of the best” with extensive experience in intelligence, military and government operations throughout the world. Their experience in the fields of intelligence gathering, technology, security, investigations and project management is coupled with the support and network of the team. This contributes to the ability of ISG to satisfy the changing demands of the client while providing confidential services. ISG consists of contemporary and certified professional support teams that are willing to handle the most demanding problems. Since ISG works almost exclusively in sensitive areas, it uses a discreet, low profile and sophisticated approach in executing any mission. Due to the confidential nature of the business the Client list is never revealed.